Charlotte Tilbury Instant Look in a Palette - Beauty Glow review, photos, swatches! Inside we have three eyeshadows, a shimmery champagne shade, an equally shimmery bronzey/rose gold shade and a divine soft matte brown. That shade has my heart and is the softest, most blendable brown I have in my collection. No effort is needed to blend it out creating a beautiful smoky eye and I've worn it on it's own, dusted all over the eyelid and blended into the crease. This is the look I've been wearing the most though, in an effort to put all of the products onto my face! I always start by applying the matte Eye Smoke shade into the crease and outer corner of my eyelid with a fluffy brush and then blend like a good thing. Then I take a clean blending brush and soften the edges above the crease so the colour fades perfectly towards the brow bone. The formula just basically blends itself. I then take the Eye Brighten and Eye Enhance shades and apply them with a flat eyeshadow brush. The lighter Brighten shade is gorgeously pigmented but I'd love if the Enhance shade had a bit more colour payoff, but that's just me. These shadows can be applied wet and dry and applying shimmery shades wet will give more of a metallic finish. But I just love how soft and diffused the whole eye look is. It's properly summery goddess vibes. For the photos above, I applied the face highlight into the inner corner because more is more. The Face bronze is just as beautiful and soft as the regular Filmstar Bronze & Glow and the same goes for the Face highlight. Both give the most beautiful soft focus glow to my skin that makes me look filtered! #NotFilteredOkBye For the life of me, I couldn't get the Cheek Pop in the peachy shade to show up properly on camera. In real life, it's a delicate shade that goes on quite sheer but is easily buildable to give a flush of colour to my cheeks and you know me and my peach blushes. The Cheek Swish shade needs to be used with a delicate hand on me, but again, it's beautiful on. It's got rose gold undertones to it and can be used as an eyeshadow too. To be really picky, I'd love the blushes to be bigger. Or else my blush brushes to be smaller. I found the blushes went on better with a more tightly packed brush as opposed to a fluffier one and there was less kick back from the powder that way too. I know it's easy for me to say that I love a palette costing €69 having been given it and I wanted to gather all of my thoughts properly before recommending it. I absolutely love it lads. When I went to London recently, it was all I brought because having my eyes and face sorted in one palette made life and travelling that bit easier. 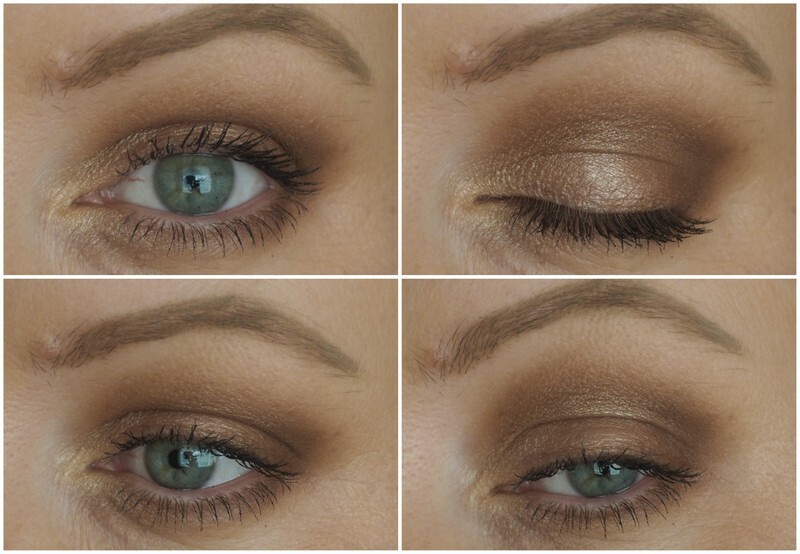 Using the bronzer and highlight as eyeshadows adds even more versatility and makes the justification for purchasing it a bit easier. I think you can tell from the absolute state of the palette now just how much love and use it's been getting. And look at the glow on my cheek there! I'm not able for myself and if you wanted to treat yourself, I can't see you being disappointed with this at all. It's one of the best palettes I've tried in a long time and I feel bad for the other products that are waiting to be tested out! It's limited edition and you can buy it in Brown Thomas, in Arnotts or from the Charlotte Tilbury website.